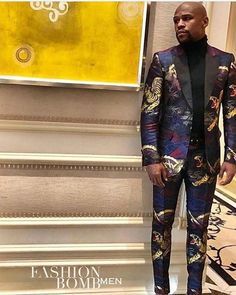 12-time retired boxing champion and President of the leading promotional company Mayweather Promotions, Floyd “Money” Mayweather is living life in luxury while creating opportunities to advance his business portfolio and extend his star power beyond the square circle. This professional athlete turned businessman topped Forbes 2018 highest paid athlete for the 4th time and was in the #1 spot for Forbes 2018 highest paid celebrity at $285 million. 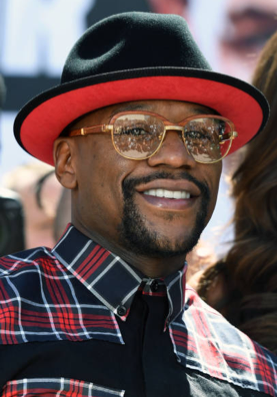 Floyd has proven to be an undeniable influencer that has capitalized on opportunities to take diversifying to another level, and is of course doing things his way! 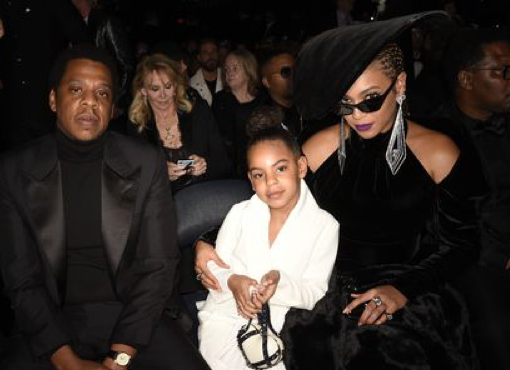 Beyond his lucrative real-estate investments and other moves to position himself and generations to come, Floyd has successfully created his own formula to bring his visions to reality, and come out the only way he knows how; WINNING. There’s no telling what’s on his radar or what Money’s next ‘move’ will be. Not only is his promotional company breaking ground and transforming the boxing business, his gentleman’s club- Girl Collection is ranked amongst the most attractive and upscale clubs in the industry. The highly demanded and global street wear clothing and accessory brand TMT (The Money Team) was created with Mayweather’s ingenious concept that everyone could be apart of The Money Team, being that it’s defined by one’s mindset to be rich at heart. The welcoming of everyone across the globe to join this movement, has flourished into much more than a few t-shirts and a short-lived trend, although some speculated early on that TMT wouldn’t be much more than that. 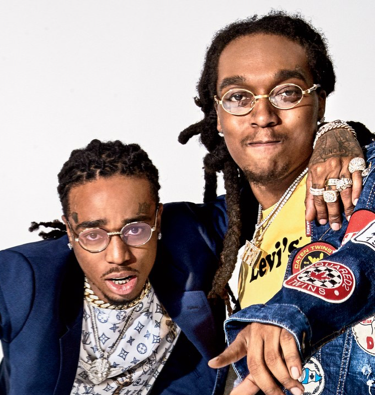 There are no signs of slowing down for The Money Team, evidenced by its popularity and continued evolution. The development of a new TMT app is on brinks of being complete, and fans and consumers are sure to be moved by this launch that will bring their shopping experience directly to their smart phones. Newer on the horizon are introductions of a second apparel brand- Mayweather Sports, a lifestyle driven merchandise line that brings a high-class stylish aesthetic with every unique collection that is created, and Mayweather Fitness gyms have become popular amongst those looking to release their inner champion while instilling the strength, confidence, and artistry needed to be triumphant over every challenge that life has in store. Floyd is duly spending his time traveling the globe, and enjoying the fruits of his hard labor. His legacy is nowhere near its end in being written, and while he’s on to another chapter in life, the champ still appreciates the energy and excitement that the fans have for him. The undefeated icon with a historical record of 50-0 is giving fans the opportunity to meet him for photos and memorabilia signings through his partnership with Inscriptagraphs Memorabilia at Caesars Palace in Las Vegas to share a piece of his legacy with his supporters. He will make multiple scheduled appearances over the course of the months to come. For those that missed out on the opportunity to meet TBE on September 8th and 9th, your next two opportunities are right around the corner! He will be back at Caesars on October 27th, 1:00-4:00 pm and November 17th, 1:00-4:00 pm. Fall is in full effect and the sports seasons are in full swing! The holidays are just around the corner! The sports action keeps getting better and better and we have you covered on this season’s top match-ups. PLUS! 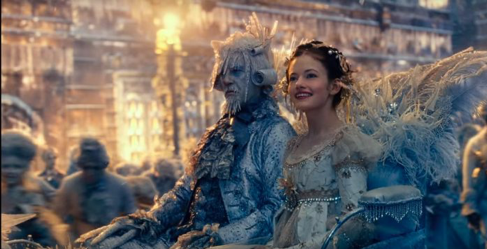 The best family movies to watch this holiday season! Read below for full details. About: After 10 rounds of non-stop action, Cameron Krael (14-13-3, 3KOs) came out on top over Jose Borrego (14-2, 12 KOs) to earn the victory. Krael’s speed and piercing power allowed him to land strong shots and counter punches to his opponent. The bout was a war from the start of the first round, as the fighters took little time to feel each other out before getting to business, and there was no turning back. Krael and Borrego battled into the second round and continued the momentum in the rounds that followed. Both fighters threw consistent combinations and by the middle to late rounds they kept the fans on their feet. Krael’s striking punches, and combinations of body shots and jabs, began to take a toll on his opponent. The toe-to-toe action and exchanges of electrifying blows continued until the bell sounded in the 10th and final round. It was an all-out battle and judges scored the bout a majority decision in favor of Cameron “Suave” Krael. 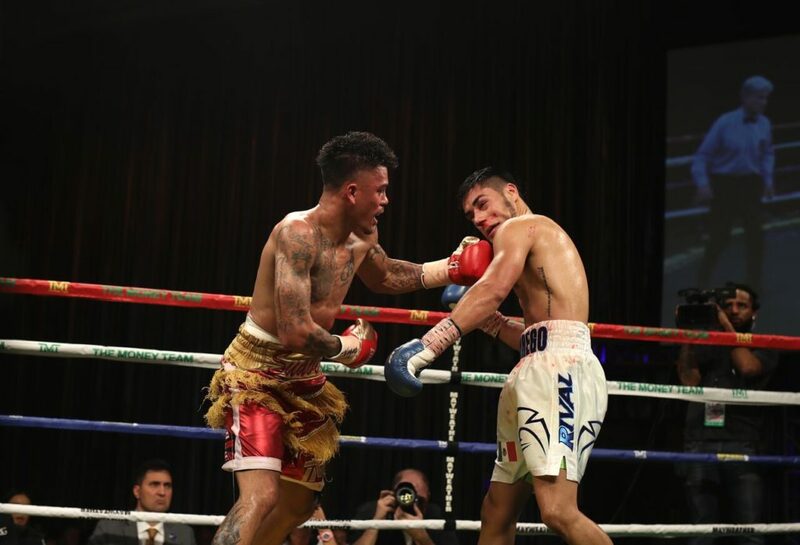 Young unbeaten prospect, Xavier Martinez (12-0, 7KOs), was featured in the co-main event vs. veteran contender Oscar Bravo (23-9, 11KOs) in a Super Featherweight battle. Both fighters entered the ring with explosive shots. During the 2nd round, Bravo suffered a cut over the left eye from the exchange of on target blows he received from Martinez. This didn’t stop Bravo’s determination through the rounds. Martinez picked up the momentum and continued dominating in the 3rd round and didn’t slow down. The referee stopped the fight at 2:46 into the 6th round deciding that the fighter was unable to continue, improving Martinez’ record to (12-0, 8KOs). This was the first time Bravo had been stopped in his career. About: Hard-hitting undefeated Super Lightweight prospect Juan Heraldez (14-0, 8KOs) makes his return to Sam’s Town Live in an 8-round bout vs. Maynard “Mr. Marvelous” Allison (11-3, 7 KOs) that is guaranteed to showcase nothing but non-stop action. Heraldez looks to keep his perfect record intact as he climbs the ranks in the division. This bout will mark his return to the ring after a recent unanimous decision victory against Kevin Watts on August 3rd. 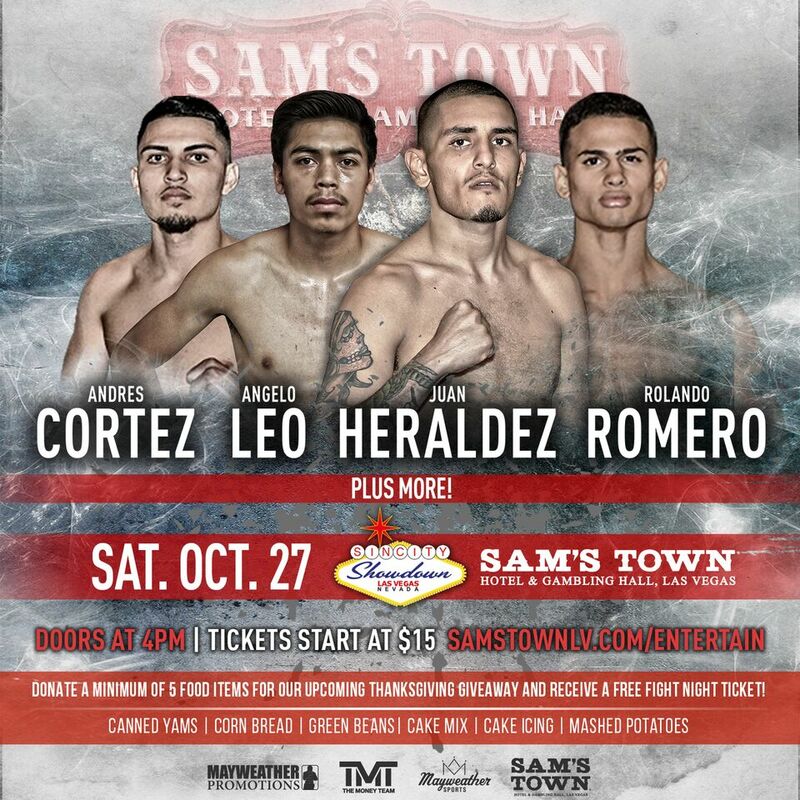 This bout will take place in conjunction with a line-up of talented prospects that include Angelo Leo, Rolando Romero, Andres Cortes, Leduan Barthelemy, and others in separate bouts, and is set to take place on Saturday, October 27th inside Sam’s Town Live, home of Mayweather Promotions’ Sin City Showdown. About: Event details forthcoming; check back for updates or visit our website: www.mayweatherpromotions.com/events. The Invictus Games Sydney 2018 marks the beginning of a program to support the growth of adaptive sport programs in Australia. 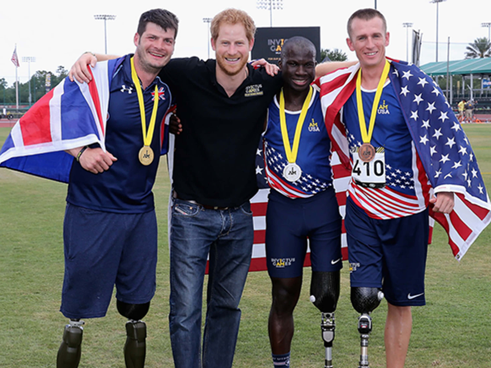 The Invictus Games Sydney 2018 will be the Games in which the community embraces wounded, injured and ill veterans and serving defense personnel and the family and friends who support them. The goal is for the spirit of mate ship to shine as they strive to create a sense of belonging for all, both during the Games and everyday going forward. 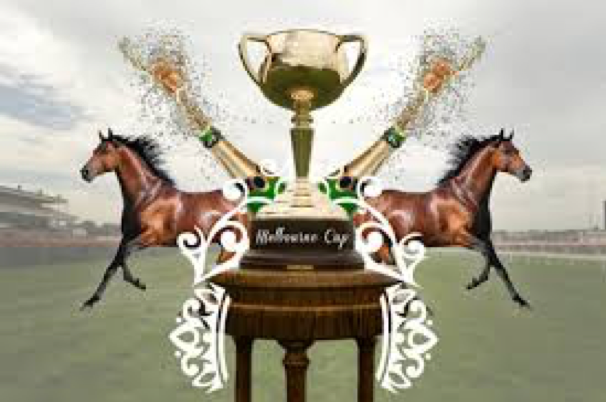 The Melbourne Cup is Australia’s most prestigious annual Thoroughbred horse race. It is a 3,200 meter race for three-year-olds and over, conducted by the Victoria Racing Club on the Flemington Racecourse in Melbourne, Victoria as part of the Melbourne Spring Racing Carnival. It is the richest “two-mile” handicap in the world, and one of the richest turf races. The event starts at 3pm on the first Tuesday in November and is known locally as “the race that stops a nation”. The NFL is serving up 3 matchups on Thanksgiving Day! The Chicago Bears and Detroit Lions will kick off the day at Ford Field in Detroit. Followed by, the classic Redskins vs. Cowboys matchup featuring top ranking players, Dak Prescott and Adrian Peterson in a tough face off. Lastly, the NFC South will clash as the Falcons meet the Saints at the Superdome in New Orleans. Additional TV network, time and ticket info is available by cling the link above. The world’s finest players will battle it out to become the very best and win the biggest prize and the most cherished victory in hockey alongside the Olympics. Every four years, at the Hockey World Cup the world’s greatest teams play some of the toughest, most skillful and entertaining international hockey imaginable. Launched in 1988, the FINA Swimming World Cup gathers world-class swimmers in a series of two-day meets organized between August and November each year. Across nine locations, the circuit is structured in clusters (Middle East, Europe and Asia) and distributes a total of prize money reaching US$ 2.5 million. 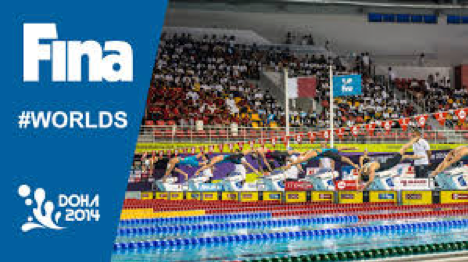 The FINA World Championships or World Aquatics Championships are the World Championships for aquatics sports: swimming, diving, high diving, open water swimming, synchronized swimming, and water polo. They are run by FINA, and all swimming events are contested in a long course (50-meter) pool. Synopsis: Young Clara needs a magical, one-of-a-kind key to unlock a box that contains a priceless gift. 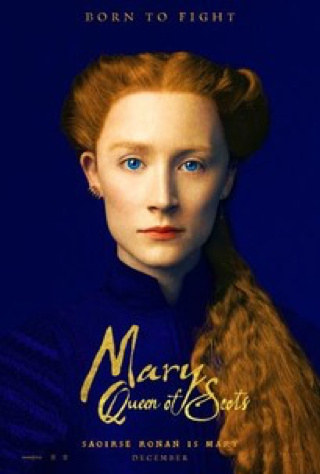 A golden thread leads her to the coveted key, but it soon disappears into a strange and mysterious parallel world. In that world, she meets a soldier named Phillip, a group of mice and the regents who preside over three realms. Clara and Phillip must now enter a fourth realm to retrieve the key and restore harmony to the unstable land. 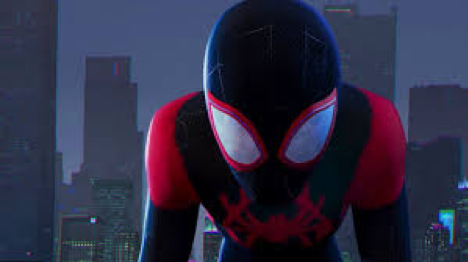 Synopsis: Spider-Man mentors a teenager from Brooklyn, N.Y., to become the next web-slinging superhero. 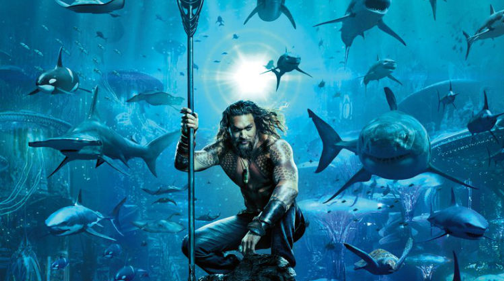 Synopsis: Aquaman finds himself caught between a surface world that ravages the sea and the underwater Atlanteans who are ready to revolt. 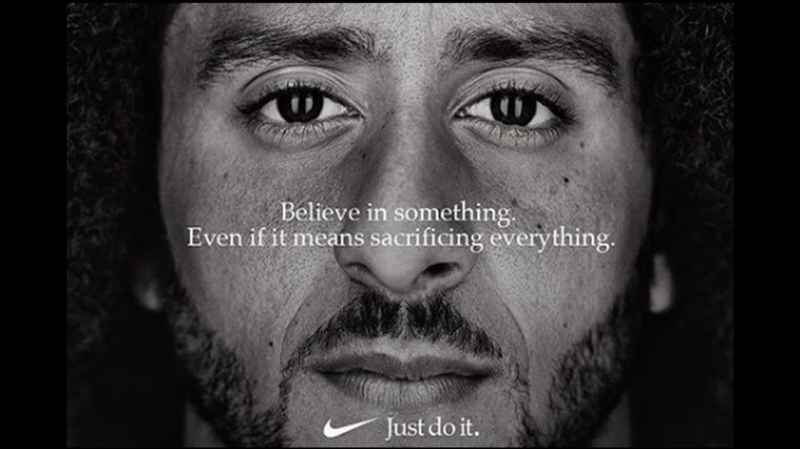 Nike is on the rise after releasing controversial ad featuring former 49ers quarterback, Colin Kaepernick. Online sales have surged as the athletic apparel company marked its 30th anniversary of the famous “Just Do It” ad campaign. 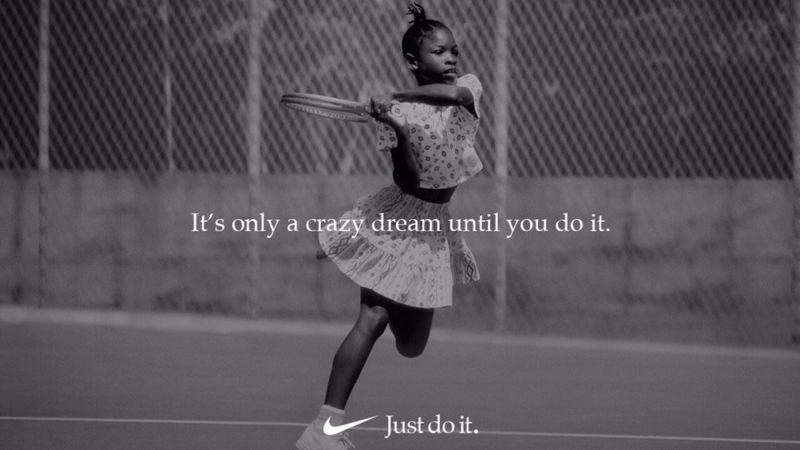 Serena Williams, who is also part of the Nike family, recently dropped her latest ad with the company before her most recent US Open appearance. 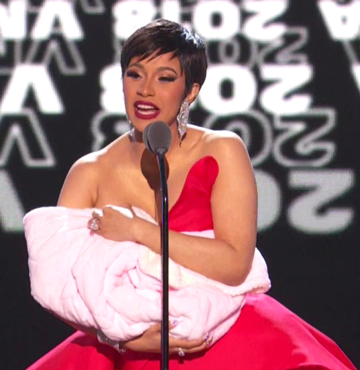 The ad featured a heartfelt touch with a voiceover provided by her dad who has played an instrumental part in her success to date. It’s time to trade in that handbag for a cross-body bag because that is what’s hot right now! The trendy look is taking the industry by wave and can be paired with almost every casual look. 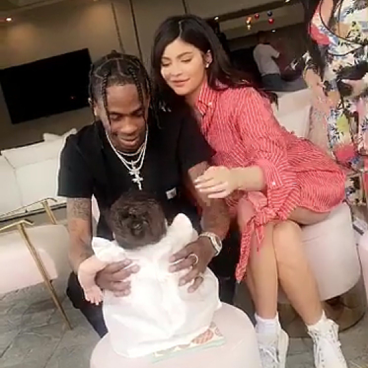 Being a parent may not be a trend but motherhood is certainly evolving right before our eyes and fatherhood is also getting its due respect. 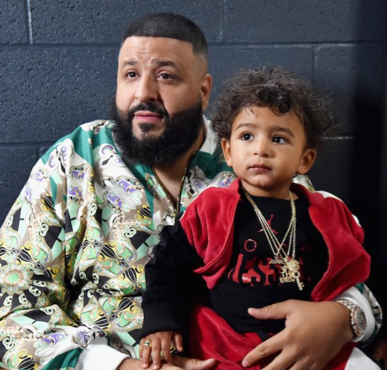 The industry’s top entertainers are taking on the role of parenting and business simultaneously and flawlessly. 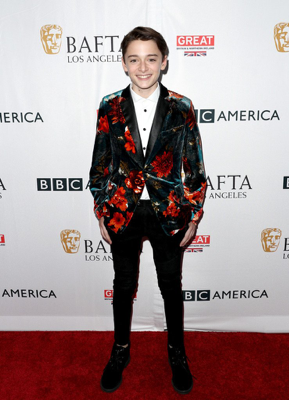 It is one of the most reoccurring trends always making the list of latest fashion trends. But this season, the key point is to be selective when choosing your frames. Take notes from these celebs. 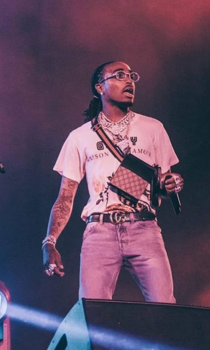 Printed shirts have made a comeback. Pair your look with jeans or dress it up to create a dapper appeal like these celebs. Record-breaking Brady should be his new name. Tom Brady is no stranger to setting and breaking records and he’s already in formation for that this season. He recently earned his 200th career regular-season victory, most ever by a quarterback. A record he already owned, but it’s now a perfectly rounded number and huge accomplishment. He also added another notch to his illustrious career during the kick-off versus the Kansas City Chiefs in week 6. 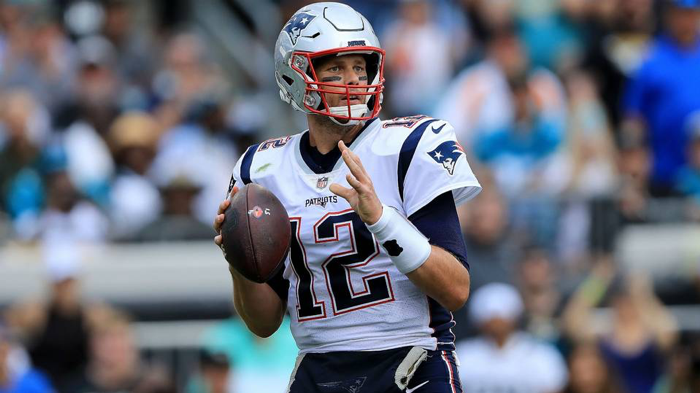 Brady has been favored for the 56th consecutive time, setting a new record for starting quarterbacks in the Super Bowl era, according to ESPN Stats & Information. He passed Kurt Warner, who was favored in 55 consecutive games from 1999 to 2003 for the “Greatest Show on Turf” St. Louis Rams teams. According to the NFLPA, the five-time Super Bowl champ sold the most licensed goods during 2017 plus he’s in the top 10 rankings for highest paid NFL athlete. We’d say Tom “Record-breaking” Brady suits him well. There’s no doubt that Space Jam is an indisputable classic that stars the legendary, Michael Jordan. 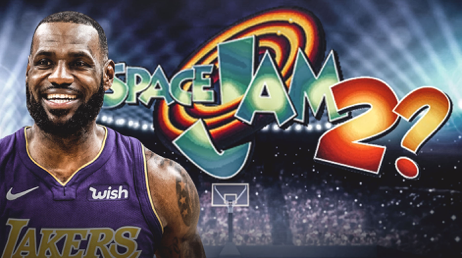 Now this generation’s star basketball player will take on that roll in the sequel of the film as Lebron James produced by, Ryan Coogler. Coogler is widely known for his success as director of Black Panther. We should also expect other NBA player cameo’s. More details to come in the future. Food is life! But are you ready to push your taste buds past their limits? 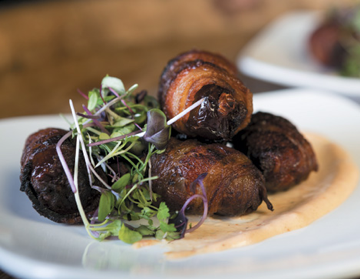 Take a peak at some of the best foodie trends of the season. Originally native to Hawaii, these delicious meals have sparked a trend in the US. 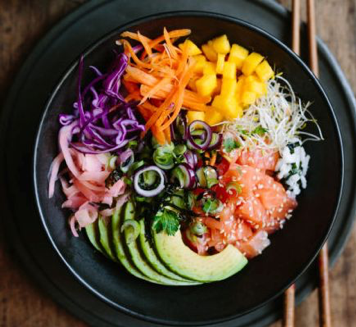 You can find these tasty dishes at: LemonShark Poke (Various locations in Southern California), Täkō, (Pittsburgh), Noreetuh (New York City), Sam Choy’s Poke to the Max (Seattle), Aloha Poké Co (Chicago), Hula Girl Bar and Grill (Arlington, VA), and many others across the nation. 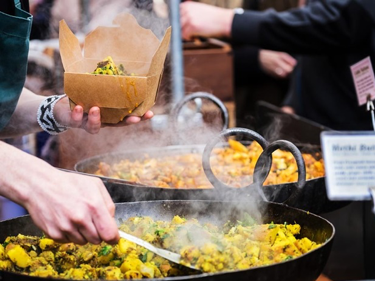 Street food is now at the top of culinary innovation and is a great way to become accustomed to unfamiliar cuisines; it’s quickly becoming big business. 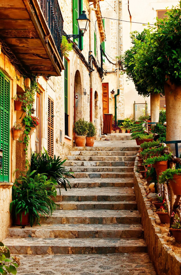 WITH ENDLESS POSSIBILITIES WHEN IT COMES TO TRAVEL DESTINATIONS, WHERE TO NEXT? 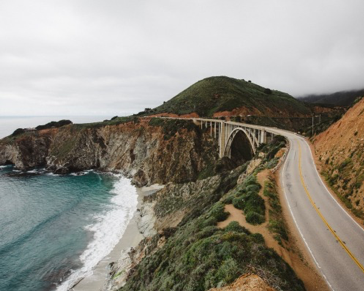 The classic drive through Big Sur, along twisting Highway 1, offers plenty of pullovers at places like seen-it-in-a-million-car-commercials Bixby Bridge. 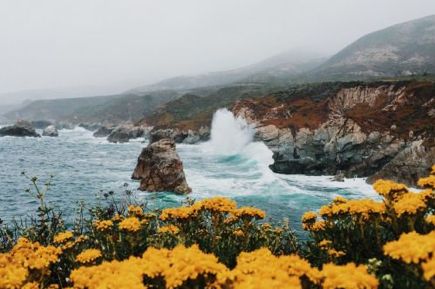 Visitors can stop at parks along the coastline and look up to see endangered California condors, North America’s largest birds, or look down to scan the swells for migrating whales or sea otters floating among dense beds of kelp, California’s signature seaweed. The views are endless. 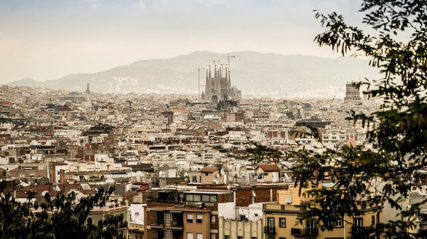 Barcelona, located at the Mediterranean Sea in the very north of the Spanish coast, is certainly the most cosmopolitan and economically most active city in this country. It has always proved its will to be modern, to follow the latest international tendencies, or be ahead of them. To the tourist this is evident especially in its architecture, which so well reflects the general approach to life in this always pulsating city. 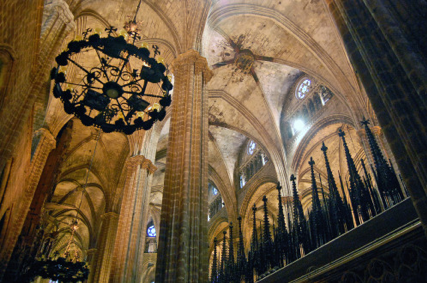 Barcelona has an old history, and there are monuments of Romanesque, Gothic, and Renaissance periods, but most characteristic is what has been built during the last, say, 100 years. 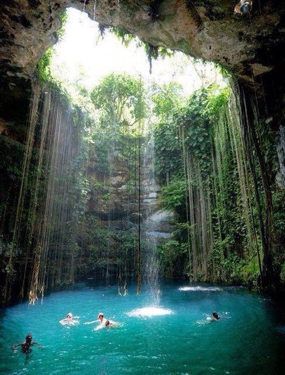 Tulum is a town on the Caribbean coastline of Mexico’s Yucatán Peninsula. 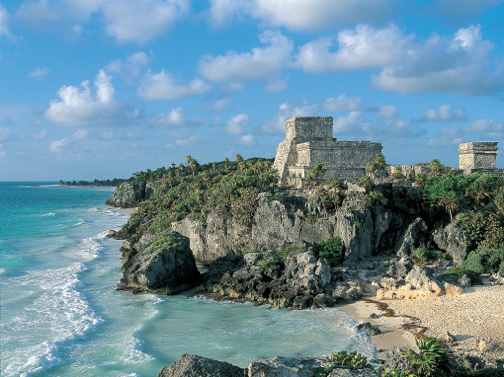 It’s known for its beaches and well-preserved ruins of an ancient Mayan port city. 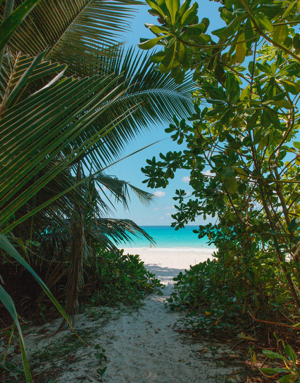 The main building is a large stone structure called El Castillo (castle), perched on a rocky cliff above the white sand beach and turquoise sea. 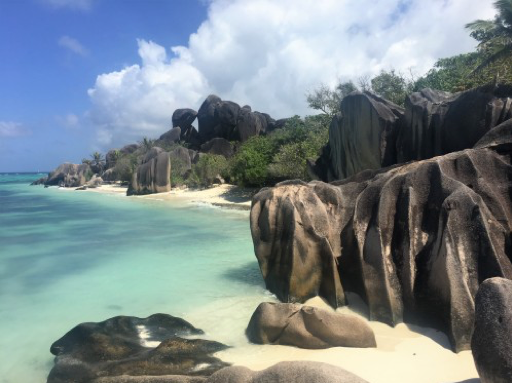 Situated between latitudes 4° and 11° S and longitudes 46° and 56° E, the major islands of Seychelles are located about 1,000 miles east of Kenya and about 700 miles northeast of Madagascar. The capital, Victoria, is situated on the island of Mahé. 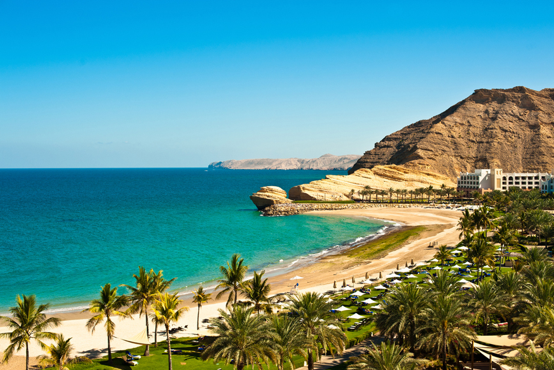 The oldest independent state in the Arab world, Oman is one of the more traditional countries in the Gulf region that has terrain encompassing desert, riverbed oases and long coastlines on the Persian (Arabian) Gulf, Arabian Sea, and Gulf of Oman. Wahiba Sands is a region of dunes inhabited by Bedouins. Mayweather Sports is shaping their versatile sportswear brand through their recently launched, ‘Build Your Legacy’ campaign. This marks the first official campaign for the brand; aiming to spotlight Mayweather Promotions’ fighters and a generation of influencers who are each finding their own voice in the sports and entertainment world while drawing inspiration from the idea that they each have a unique platform to build upon. The campaign features: former 3x World Champion, Ava Knight, top young prospect, Ladarius Miller, unbeaten lightweight fighter, Rolando Romero, and super middleweight prospect, Kevin Newman. Mayweather Sports apparel is available online, or by clicking here. TMT and MWS are going pink for a cause! 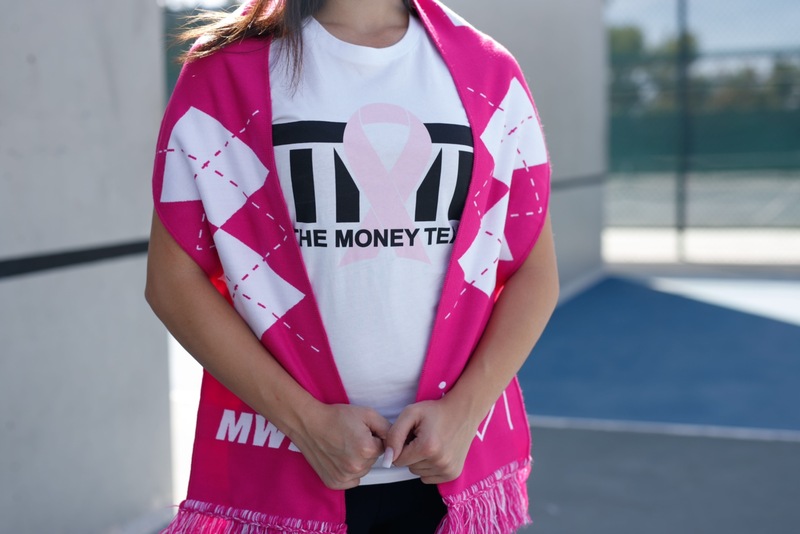 In one of the most recent releases, Mayweathers’ lifestyle and sportswear brands have collaborated with Breast Cancer Charities of America to donate 20% of the sales of the iGoPink apparel (pictured above). About Breast Cancer Charities of America: The organization’s main focus is educating, empowering, and encouraging all men and women to become proactive in preventing breast cancer and, if diagnosed, surviving breast cancer. Through their free program services, they are able to educate, teach and provide the latest accurate information about integrated cancer care, cancer prevention, recovery, treatment, early detection, and survival. For additional information about the non-profit organization visit: www.iGoPink.org. 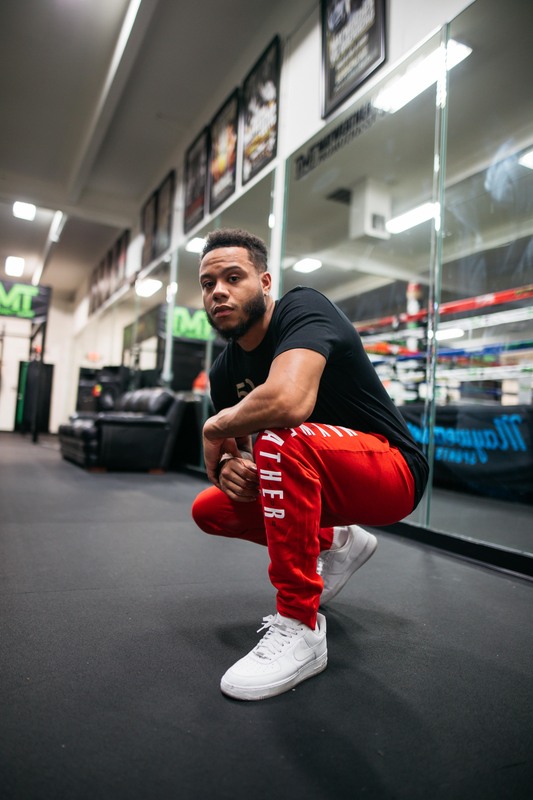 We caught up with Rolando “Rollies” Romero (5-0, 4 KO’s), Cuban boxer born and raised in Las Vegas, to dive into his life both inside and beyond the ropes. Rollies comes from a family lineage that runs deep in the sport of boxing, and now he’s ready to breakout and showcase his talents that will take him to the top of his division in due time. Learn more about the exciting Cuban KO artist below. Yes, of course, my dad’s boxing background helped out a lot. I learned so much from my dad. Las Vegas is a city very well known for its hotels, casinos, and attractions. Living in the City of Sin, how do you stay focused and prepared for each fight? Well, since I was born and raised here, I feel like I’m immune to all that. I don’t care for clubbing. Every weekend my friends have tables at the clubs but I don’t drink or smoke. That’s not something that interests me. It just doesn’t excite me. What is the #1 piece of advice you would share with other young talented prospects? My number 1 piece of advice would be, make sure your defense is on point, and don’t get punched in your face so you can have a long-lasting career. What do you think makes you stand out from the rest of the lightweight division? What makes me stand out is, I feel like I’m the hardest puncher in the lightweight division. There are a few well-known names up there that are heavy hitters, but I feel like I punch harder than everybody in the division. Tell us your favorite and least favorite workout, and why? My favorite workout would be mitts and sparring. My least favorite workout would be pushups. Man I hate pushups! What is 1 goal you wish to accomplish within a year and how do you plan on reaching that goal? My goal would be to be in line to win a title or title eliminator by the end of next year. 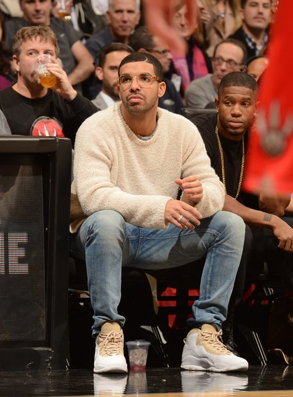 Would you consider yourself fashion forward? 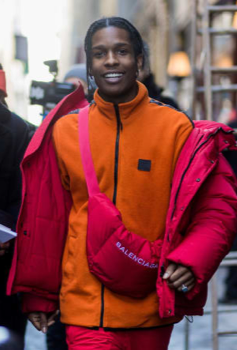 Name a few of your favorite brands right now and why? 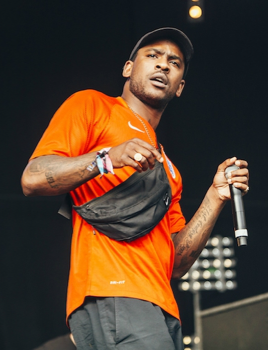 Which artists do you currently have in rotation while you train? Ooh! I would say: Travis Scott, Kanye West, and I do like the Weeknd a lot. I don’t listen to typical music while I train. I listen to love music, that may be kind of weird, but that’s what I do. Especially when I’m running, I could cruise to it all night. Name your top 3 restaurants in the city and why? Florida Café, Cuban food is my favorite and that’s the number 1 Cuban food spot! Next is, Cuba Café and then Habana Grill. 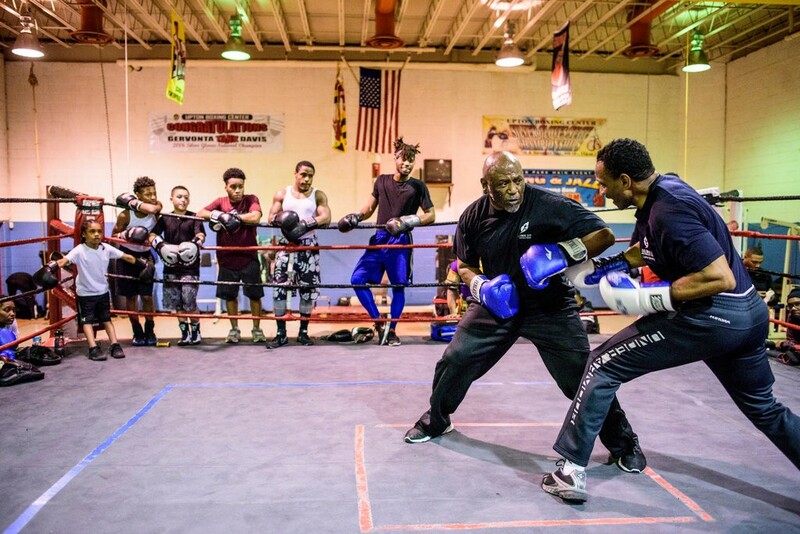 Calvin Ford is known for being the head trainer to Mayweather Promotions’ own, 2x world champion, Gervonta “Tank” Davis and has played an intricate role in the development of many professional and upcoming fighters in the blighted neighborhoods of Baltimore. 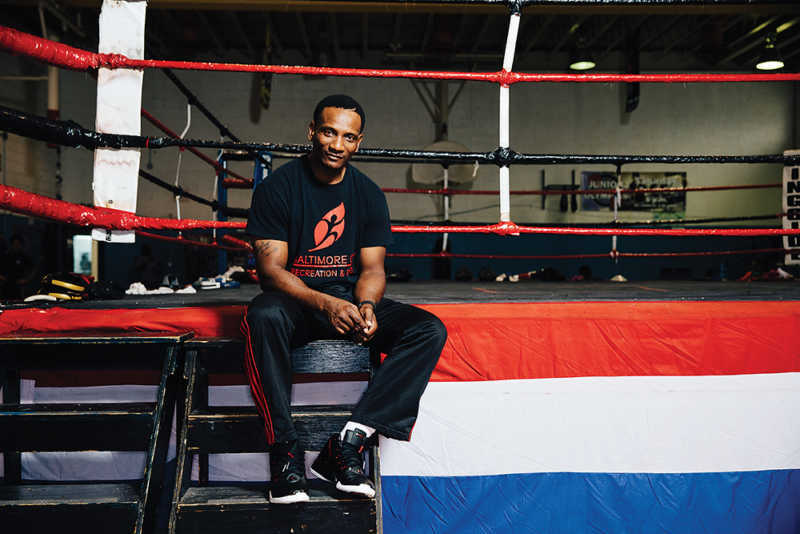 We caught up with Ford who shared his experiences with us from starting the Upton Boxing Center, to becoming a trainer of rising champions & how he disciplines his fighters, ways he supports the youth in the community, and what his current goals are. How long have you been a trainer in the sport of boxing, and what led you to pursue this career path? I’ve been a trainer since 1997 and what led me to pursue this career is a lot of the youth in Baltimore took a liking to me. I’ve been and continue to be like a father figure to a lot of them. I’ve done a lot of things with the youth and tried to look out for them. I work for Parks & Recreation, where I run the boxing gym in the center, which is the biggest boxing facility in the city. There are other programs at the center for the youth that have special needs such as providing food & clothing, offering help to those who have anger management problems, and assistance to those suffering from other social issues. I’m a teacher, counselor, and trainer for the youth. The gym has an annual membership fee of $65/year to make it affordable for those that want to join. What fighters (professional and amateur) do you currently train? Professional fighters that I train are Gervonta Davis, Teresa Douglas, Cashus Chaney, Demetrius Allen, Demar Nicholson, Malik Hawkins, Sepha Mccullen, and Colby Madison. I have about 40-50 amateurs that I currently train that are at different levels and age brackets. I have multiple fighters at the elite level of the amateurs. His uncle brought him to the gym at 5 years old. My son used to train him and he used to tell me all the time, “Man that kid is a fighter.” After some time, my son went back to live in Jersey and that’s how I started working with Gervonta. He was just always with me to stay out of trouble. I always looked out for him, even when he did something bad I was always in his corner. This has been the case since he was 7 years old. That’s how long he’s been with me. What is the biggest discipline that you feel a fighter must have? A fighter must have discipline and loyalty. Discipline means that you are capable of getting up and doing what you are supposed to do to get the job done. That applies to everything in life. That’s how I look at it. You have to be able to get up and pursue your goals every day. Loyalty to the people that are in your corner: your mom, your dad, grandmother, grandfather, siblings, uncles, aunts, people that you work with every day that are pushing you to succeed your goals is also a must. What is your biggest motivation as a trainer? My biggest motivation is getting results, working with fighters that believe in themselves and their team, and everybody doing their job. I don’t like to micro-manage people. If you are in charge of a specific thing I expect for you to do your best. I expect my fighters to work harder than me. Keeping the fighters straight, especially in the city of Baltimore. I call it, “The Whispers,” the street calling that doesn’t allow you to pursue the discipline. The ultimate goal is help them reach their goals. Everybody is not going to be a world champion. I value where they are, and believe anything can happen. I give them hope because someone gave me a second chance and hope. I believe that if you give a person an opportunity and watch their actions and deeds, you can see if they really believe it. What does a training day with Calvin Ford look like? If you’re familiar with Karate movies, it’s never the same thing every day because the situations in the ring are never the same. It’s set with doing the cardio, the stretching, and the boxing. I try to mix it up because sometimes the body is really tricky and some times you have high days and other times you have low days. It also is based on being in the gym on time consistently. When I train regular people that come into the gym I train them with the same routine as if they were a fighter. Do you have any advice for anyone looking to pursue a career as a boxing trainer? It’s just like planning to go to college. My advice for them is to really look at every aspect of what you are looking for at a boxing gym. Make sure to see their success rates, look at their systems to assess if they have a system in place to actually get you where you’re trying to go in life. Everything I do is based on boxing. Outside of boxing I like meeting new people, those that are doing positive things in the city and that have the same passion that I do while learning more from them to better myself. I also like to spend time with my boxing family. Everything I do revolves around boxing unless I am with my kids. They don’t like boxing because they say I do it too much, so when I’m with them I can’t do anything boxing or talk about boxing things; I have to be on their time. Angelo Craig joined the organization in 2017, and has adjusted to the Mayweather motto “hard work and dedication” with ease. He uses his knowledge of the sport and skillset from previous experiences to make himself a valued member of the team. 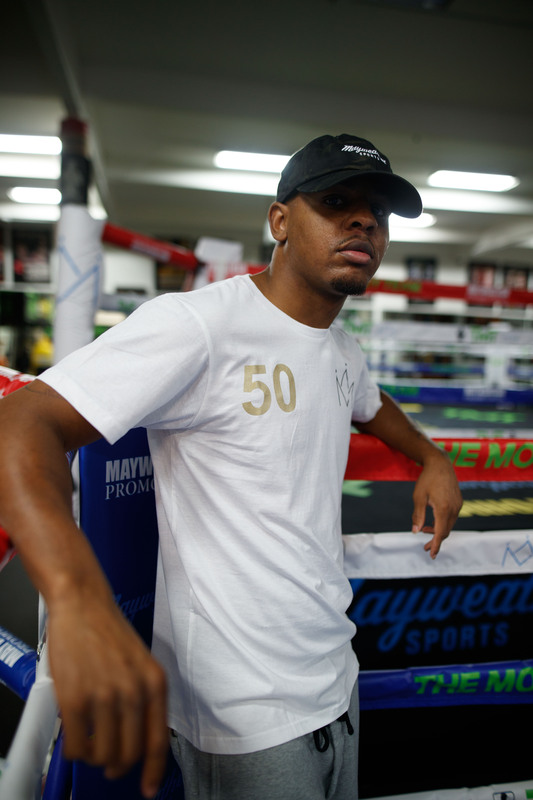 Read on to discover why Angelo felt Mayweather Promotions was a good career move, what he loves about working for the company, and how he manages his workload. Sin City is home, as I was born and raised here in Las Vegas. How did you get started at Mayweather Promotions and what is your current position in the company? 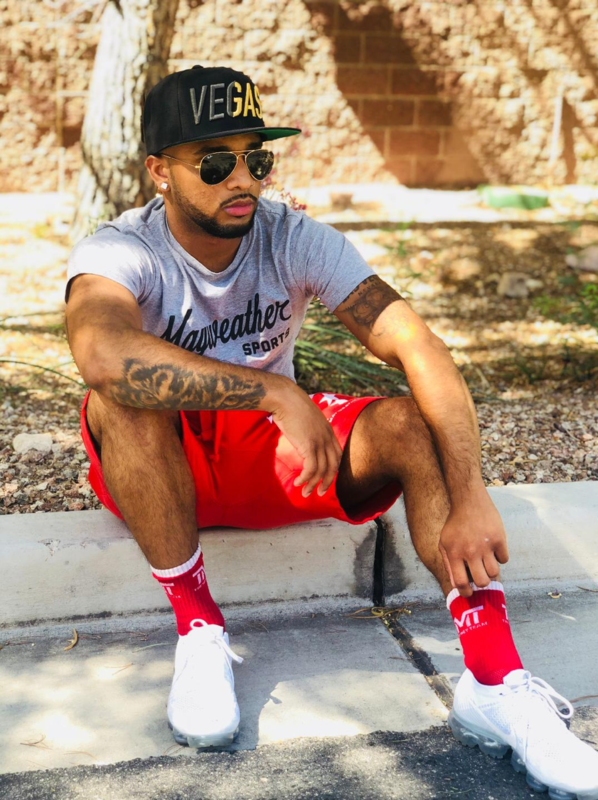 Some time after I graduated from Desert Oasis High School in 2016, I was offered a full-time digital marketing and merchandising position at Mayweather Promotions. I have since also been trained to execute fight night operations and some production duties. I realized that this opportunity would be a good fit for me because I was learning that transitioning from a high school student to an independent adult was tough. I knew that Mayweather Promotions takes pride in preparing their staff for success in the workplace, so I was happy to become part of a team that would lead by example and help me to become an experienced, well-rounded professional. Did you have any knowledge of boxing before joining Mayweather Promotions? How has your familiarity with boxing or lack of impacted your work? I did have knowledge of the sport before joining the team, but the information that I’ve learned while working has proved to be invaluable. I’ve learned so much since my hire date that far exceeds the knowledge I had prior. In the beginning, I didn’t have a strong ability to carry on a boxing conversation and use correct terminology. This impacted my work output. Gradually, through talking with colleagues and sharing best practices, I picked up in areas that I was lacking and I have a much better understanding of the scope as it relates to promoting boxing. I have learned a lot, however, I’m only 20 and can admit that I have a lot more to learn. What is your greatest on-the-job thrill? My greatest on the job thrill is attending and working the fights. There’s something about the atmosphere of a packed venue, with cheering fans that love the sport just as much as I do that energizes me. It’s also nice to see the hard work that my coworkers and I have put into every detail come to fruition, and also be appreciated by fans and fighters alike. I value my position in the merchandising department. I really enjoy shipping out The Money Team and Mayweather Sports merchandise orders to the fans and customers because they seem genuinely excited about the items they have purchased. It’s almost like I receive a bit of joy knowing that their desires are fulfilled. In other words, I am happy to make them happy. The most important thing I’ve learned since being employed is how to successfully manage my time. In this fast-paced environment, the key is not to fall behind on your workload. If you get behind it’s difficult to get back out front of all your duties and unexpected hurdles and obligations that may arise. Mayweather Promotions is part of a very busy & thriving industry; how do you manage to give 100% and balance your personal life? I honestly try hard to get everything done before I go home, but sometimes that’s not always easy to do. When I need to take work home, I’m not bothered by it because I enjoy what I do. Except for those rare occasions, it’s easy for me to maintain a personal life outside of the workplace. What type of non-work-related activities do you enjoy? When I’m not working, I spend my time in the gym or playing flag football. The Mayweather vs. McGregor fight was my most memorable moment since joining the Mayweather Promotions team. 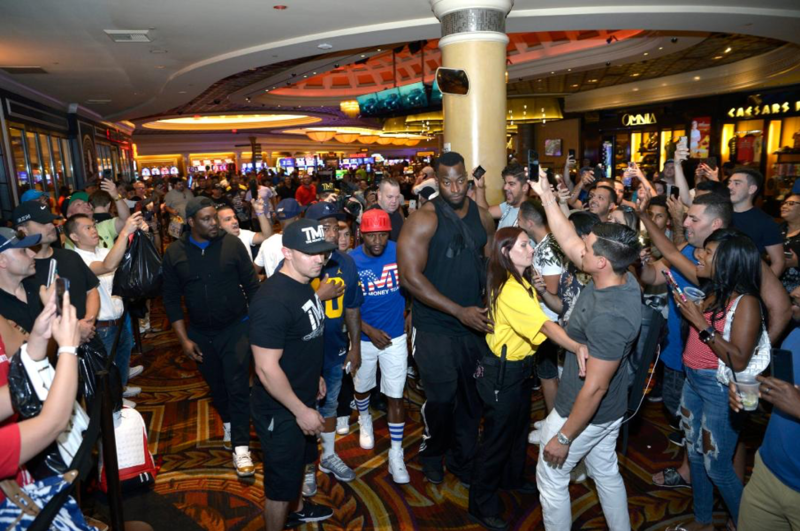 I’ve attended and worked several Floyd Mayweather fights, but this one topped the charts. It was crazy to see the finale of the hard work, dedication, and commitment from the team, but also the people, fighters, and the atmosphere made the experience come to life. This section is dedicated to showing appreciation to our fans near and far, as they show their continued support by consistently filling the stands of our live events, engaging with us on our social media channels, and visiting the website frequently for updates and merchandise purchases. We have selected 3 individuals who would like to share with the world which fighter is their favorite and why. 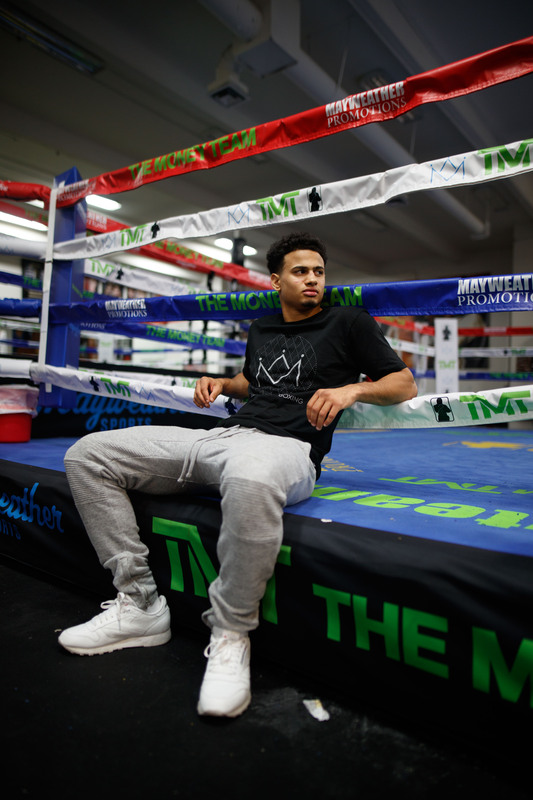 As they share their experiences below, pay close attention as you may learn a few things about your favorite Mayweather Promotions fighter. It’s very rare that a family member enters to be featured, but this time around we got a proud mom that wants to let the world know why she’s her son’s biggest fan. 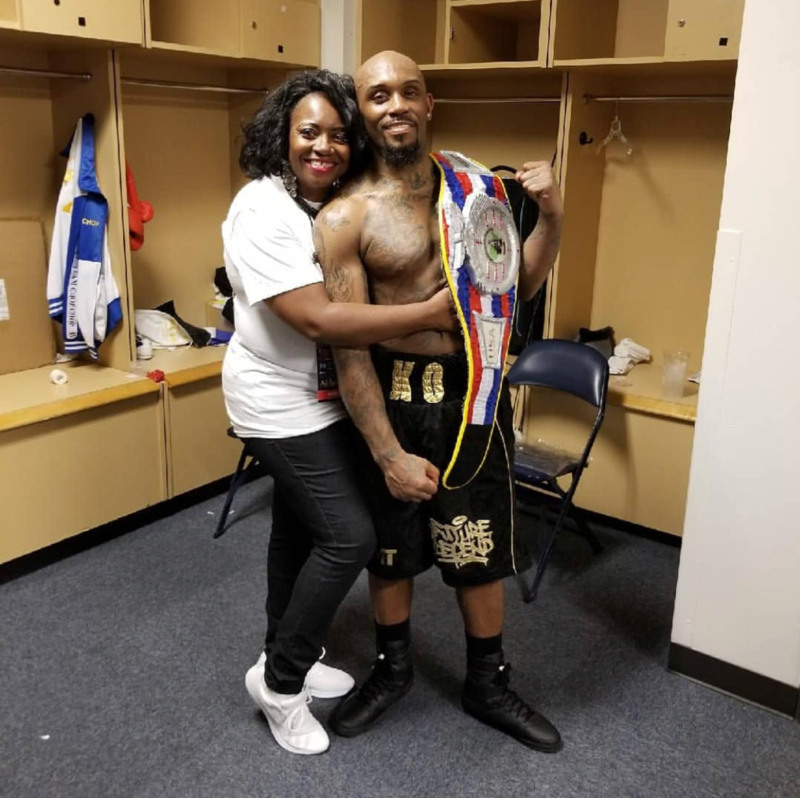 Michelle Johnson is the mother of Lanell “KO” Bellows, a rising super middleweight who signed with Mayweather Promotions six years ago and was recently crowned champion by the American Boxing Federation USA. 32 years ago, Mrs. Johnson was awarded the “God-given opportunity to be Lanell’s mother” and has since had the privilege of raising him and watching him grown into a man of value. She’s his number one fan and is proud to be his “momma.” Read on to learn why Mrs. Johnson is one very proud momma as Lanell’s biggest fan, and how her son is her biggest inspiration. Which was your favorite Lanell Bellows fight, and why? The fight that stands out the most was when Lanell fought Marcus Upshaw. 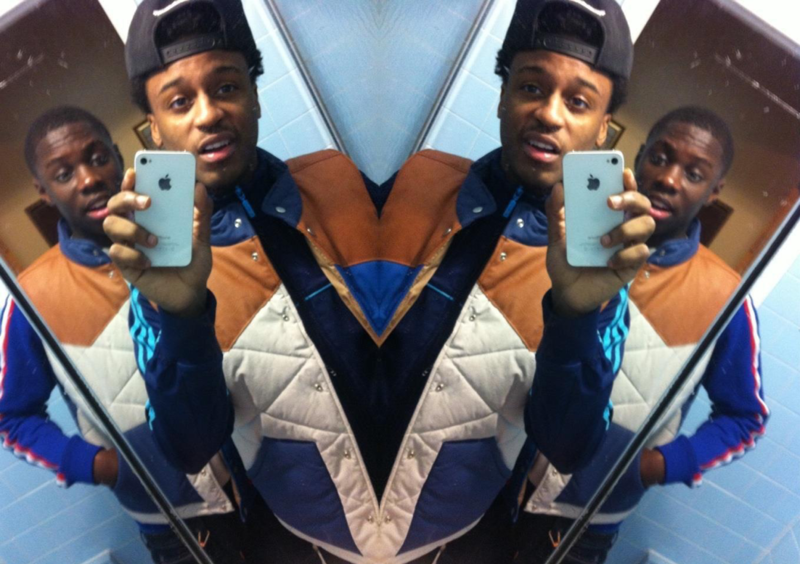 Lanell fought like a true warrior; he was knocked down but got back up. Lanell then put Upshaw on the canvas and rose up like a gladiator, making sure he did what was necessary to win. I was on the sideline praying and cheering him on to victory. In what ways do you or have you supported Lanell Bellows? I have been supporting Lanell since the day he was born. I give him all my love and affection because I want him to know he matters. I support Lanell by praying for him daily, working to instill in him the morals he should live by, listening to him when he needs an ear, and providing feedback regarding his career. I am also there for him during training camp and I’m the lady you’ll hear cheering Lanell on at every fight. In general, I will always be here for him and his family. What skill does Lanell Bellows possess that is his biggest weapon in the ring? Lanell fears no opponent. He has the heart to get in the ring with anyone, and that’s what keeps him going. Lanell’s also motivated by his children; he wants to leave a legacy for them, showing that if you believe in Christ and believe in yourself, hard work pays off and you can accomplish your goals. 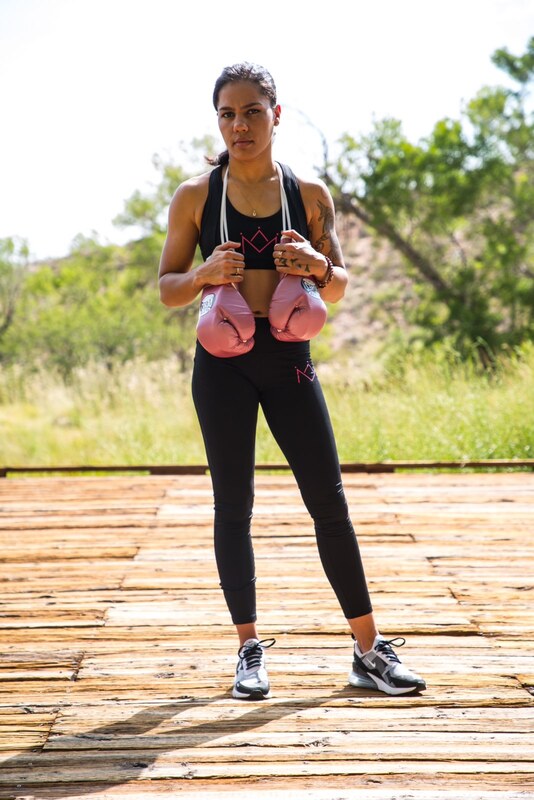 What is it like being the mother to a fighter (Lanell Bellows)? Being the mom of a boxer has its good and bad moments. I truly believe in him and I’m proud of what he has already accomplished, but I know he is in a dangerous sport. As his mom, I continuously give advice and motivation, pray, and I want him to know that I’ll be here as his biggest supporter as long as God gives me breath. Parenting has no expiration date; I’m his mom for life. In what ways has Lanell Bellows inspired you? Lanell has been through some very tough battles in life and has always pulled through. He’s had to withstand adversity; I know many could not endure what he’s been through but Lanell keeps going. Things are not always easy or happy, but he continues moving forward for himself and his children. Lanell is mature beyond his age, even as a child we would talk and have profound conversations. In these ways he has inspired me to keep living because life has so much to offer and is only what you make it. He’s a man of valor, integrity, and he’s full of hope and faith that things will work out. Are there any intriguing questions that you have been wanting to ask Lanell Bellows, but haven’t had the chance or have kept them to yourself? I’d love to ask him if the things I’ve taught him in life have helped, and if so, how. *How has being a praying mom helped him get through tough times? *How does he see himself as a man (father, brother, cousin, friend) to others? *If he could change anything in his life what would it be and why? *What would he say to convince someone that life is worth living in spite of the circumstances or situation they may be experiencing? What accomplishments and future successes do you see for Lanell Bellows? 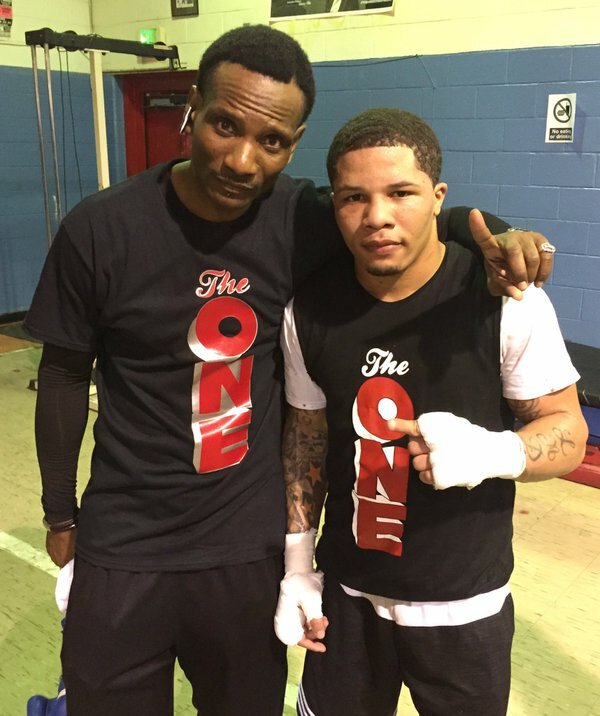 Lanell recently reached a new level when he became the American Boxing Federation USA Super Middleweight Champion. Some may say this accomplishment is small, but he reached a new level in the sport, and I hope this is the first of many. I believe it is in God’s plan for Lanell to see more championship belts in the future, and use his platform to become a motivational speaker in attempt to help others in the world one day at a time. We never know what the future holds but I do know that God’s timing is best. Can you tell us what a typical day with Lanell is like? Describe in detail any advice, words of encouragement or gratitude that you regularly share with him. A typical day in our household is filled with love and laughter. Our family motto is F.O.E (Family Over Everything) so naturally we spend a lot of time together. We greet each other every morning with hugs and kisses as a sign of respect; I call Lanell “champ” and he considers me his “Queen”. Together, we work to get the children (his children, nieces, and nephews) off to school. Lanell then hits the gym with his brother Marcele and goes for a dreaded run afterward. When the children have returned from school, we go over chores and homework. As a family, Lanell, his siblings, and I enjoy telling stories and having family time before preparing dinner. Lanell will help in many ways but cooking is not his forte. Every night, Lanell prays with his children before he puts them to bed and they cap the night with their secret handshake. Can you share with us one fun fact or story about Lanell that his fans would be interested in? We have Lanell on videotape attempting to take an ice bath. In the video, Lanell is shivering and constantly talking about how cold the temperature is. The look on his face was priceless! Suddenly Lanell starts saying he can’t breathe, but he’s definitely breathing. If you can’t already tell, Lanell doesn’t like the cold. Maybe we will be able to convince him to take another ice bath in the future. Mubiru Caffrey of Beijing, China is a fan of boxing and enjoys fighters based out of the Mayweather Boxing Club, most notably Sharif Bogere. Outside of their love for the sport, both Caffrey and Bogere also share a Ugandan heritage. Learn more about why Mubiru has chosen Sharif has his favorite boxer and why he considers himself Sharif’s biggest fan. Tell us how you first got introduced to Sharif Bogere and how long have you been a fan. I’ve been a fan of Sharif Bogere for about 10 years now. He’s a good boxer and trains in the legendary Mayweather Boxing Club, has a very touching story, and naturally he’s Ugandan so word of his success has traveled over the years. Which was your favorite Sharif Bogere fight, and why? My favorite Sharif Bogere fight is when he faced Julian Rodriguez back in 2010. He knocked Rodriguez out in less than 2 minutes of the second round. 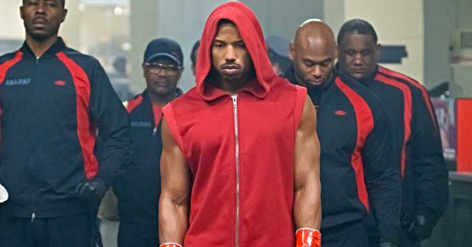 Sharif showed that he was in attack mode like a lion, fearless, and swift with his footwork. In what ways do you or have you supported Sharif Bogere? I’ve supported Bogere in many ways like telling my friends and others in sports media who Sharif Bogere is and what he’s accomplished. I tell the story of a young boy who had a hard time in his early years growing up and now is represented by the best promotional company and boxing gym there is, Mayweather Promotions and the Mayweather Boxing Club. I also support Sharif through social media by liking his posts on Instagram, joining his live chats, watching him box, plus purchasing his brand of merchandise. 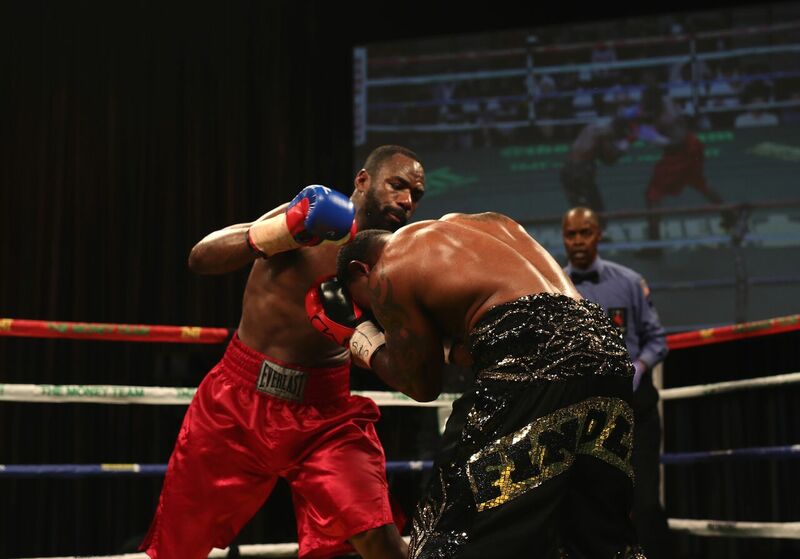 What skill does Sharif Bogere possess that is his biggest weapon in the ring? Sharif is fearless, fast, and very agile. Once he starts throwing punches he never stops. What makes you the biggest Sharif Bogere fan? Sharif and I share the same background, so not only can I appreciate his boxing skills, but I can also understand his outlook on life because we’ve experienced many similar situations. As a result, I feel like I know him well and that makes me his biggest fan. In what ways has Sharif Bogere inspired you? Sharif inspires me to strive for greatness and continue representing Uganda in a positive way by making great strides and achievements in my life. What is the most intriguing question you would ask Sharif if you were given the opportunity to speak to him/her? I would ask Sharif what his greatest inspiration is and what he plans on doing when he hangs the gloves up. What accomplishments and future successes do you see for Sharif Bogere? 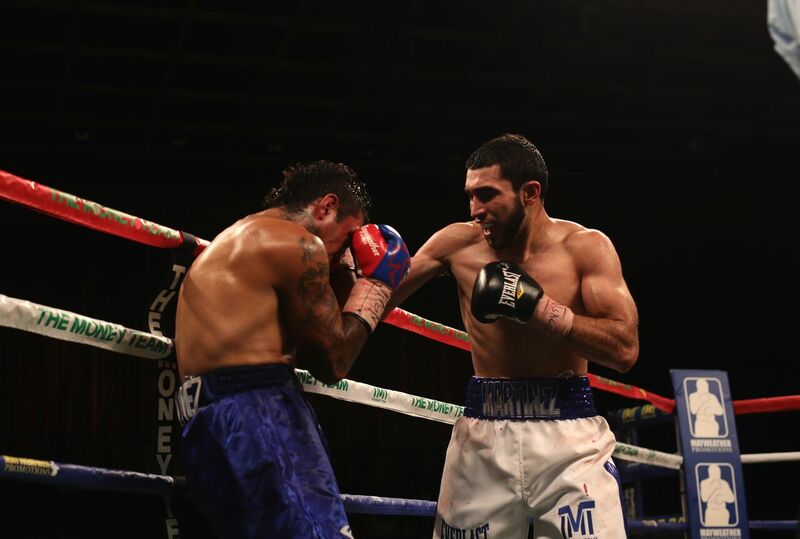 I see additional wins coming his way, most notably one that will make Sharif the Lightweight Champion of the world. If you could spend the day with Sharif, describe in detail what the day would be like and any advice, words of encouragement, or gratitude, that you would share with him/her. If I were to spend a day with Sharif Bogere, we would do a lot of catching up. We would start the day by speaking the native language and visiting where he grew up. I would advise him to keep fighting and never stop because he has a lot of potential and I would also thank him for taking Uganda to another level in boxing. Jahfari Bernard has known his favorite boxer, Richardson Hitchins, for years. Together, these friends from Brooklyn have been making a name for themselves and chasing greatness. 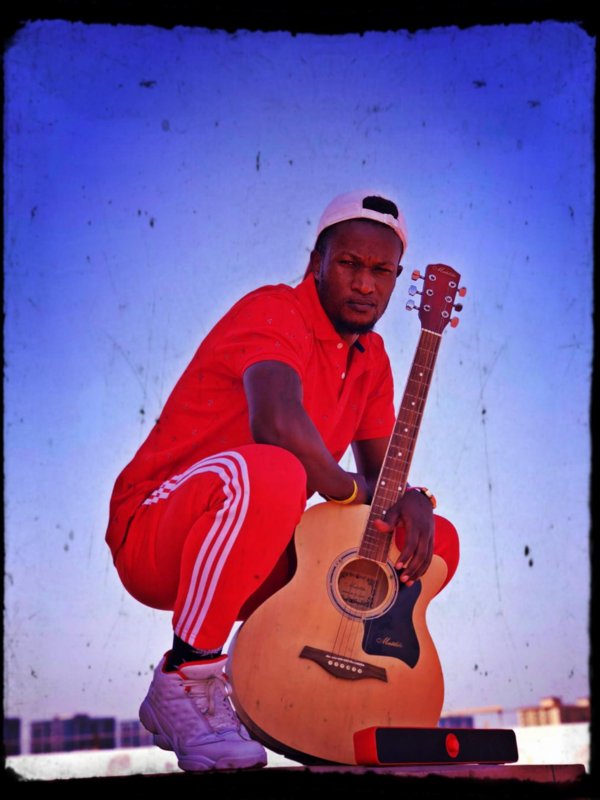 Jahfari is as 22-year-old recording artist that enjoys spending time with his 1-year old daughter. Read on to discover how Jahfari and Richardson met, and how proud he is of his best friend’s accomplishments. Tell us how you first got introduced to Richardson Hitchins and how long have you been a fan. Richardson and I go back to our childhood days. We’re still close friends even though our hectic schedules don’t always allow us to spend time together. In fact, Richardson is my daughter’s godfather. Which was your favorite Richardson Hitchins fight, and why? I personally enjoyed Richardson’s performances in the Olympics as well as his professional debut against Mario Navarro. Both opportunities have been stepping stones in his career. To be known as an Olympian and represent your Haitian heritage while doing what you love on such a large stage was such a big moment for him. By the time he made it to his first pro fight, everyone knew his name and anticipated his debut. He looked comfortable in the ring versus Navarro and he used the big stage to garner new fans when he TKO’d him in the first round. In what ways do you or have you supported Richardson Hitchins? Prior to every fight I post on social media to inform friends and locals that Richardson will be fighting on the undercard of a mega fight. I also attend fights when my schedule allows. What skill does Richardson Hitchins possess that is his biggest weapon in the ring? I believe that Richardson’s ring IQ is very high, and it will carry him a long way in boxing. I also love how aware he is of his surroundings; it’s as if he can determine what move his opponent will make next. What makes you the biggest Richardson Hitchins fan? I’ve been there since day 1 of Richardson’s career. I remember the day that he told me he was going to Atlas Cops and Kids gym. After a month or so of consistent participation from Richardson, I knew then that he would be a star and would eventually make his mark in the sport. He decided at that moment what he wanted for his life without any convincing of family or friends, and I’ve been supporting Richardson in every way since. In what ways has Richardson Hitchins inspired you? Richardson inspires me with his work ethic. He eats, sleeps, and breathes boxing 24/7 so it’s become a lifestyle for him. Richardson has also inspired me to make something of myself because he’s living proof that you can start with nothing and still be great at something, even when the odds are against you. What accomplishments and future successes do you see for Richardson? One day Richardson Hitchins will become an undefeated champion and a superstar in the sport of boxing. Outside the ring, I can see him building gyms in the community because it was those centers that we both can credit for keeping us out of trouble. What do you and Richardson like to do when you have a chance to spend the day together? Describe in detail any advice, words of encouragement or gratitude that you regularly share with him. We love music, fashion, and sports, so when we have the chance to spend the day together we could go to a concert, attend a game or fight, and/or shop. I would encourage him to stay focused and use where we came from as fuel to never return. I would want Richardson to keep the love for the sport that he came in with because it’s what has made him who he is today. Thank you to all Mayweather Promotions fans that allowed us to document their love for the sport of boxing and our fighters and for your overwhelming support! If you would like to be featured in our next newsletter send us a tweet @MayweatherPromo or DM us @MayweatherPromotions on Instagram.